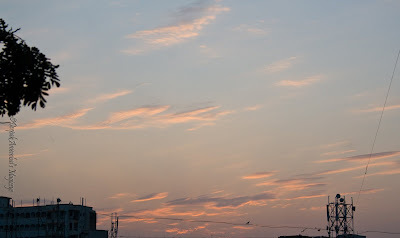 In floght at Sewri, Mumbai. 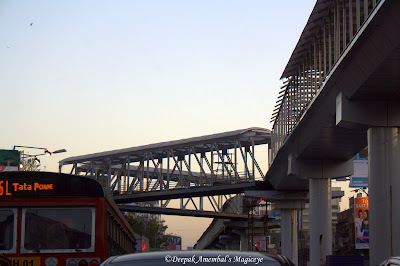 The Daily commute in Bandra Kurla Complex, Mumbai. 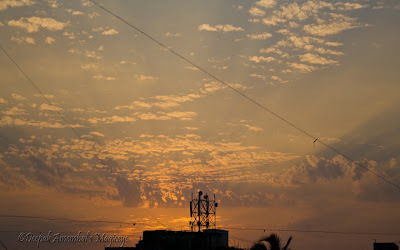 The Mumbai sky as seen on 21Feb10 at 6.08pm. Flock of Flamingos in Flight at Sewri, Mumbai. 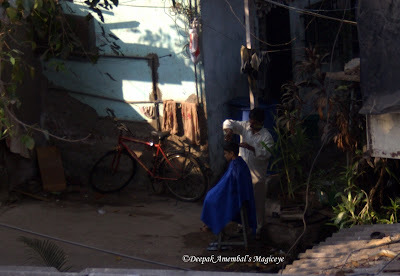 A boy getting a haircut in one of the bylanes in Kalina. We have mobile barbers in Mumbai. 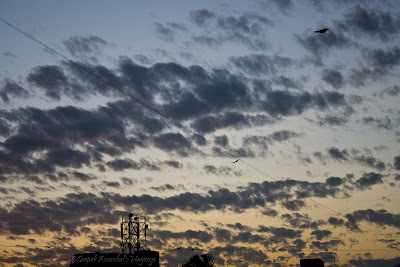 The Mumbai sky as seen on 16feb10 at 6.40pm. 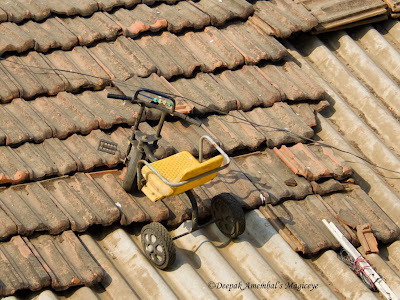 Old Equipment at Sewri, Mumbai. 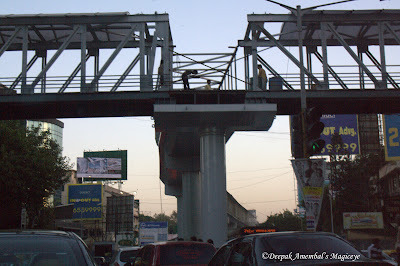 Elevated walkways being built in Bandra to enable a hassle free walk for the pedestrian. The 'Lucky' restaurant or Hill Road junction at Bandra. The 'Lucky' restaurant is a old restaurant at this junction, famous for its Biryani and mutton samosas. 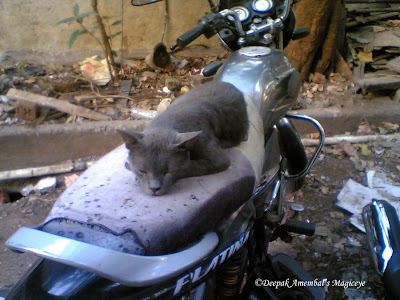 It has become a landmark in Bandra. This junction is one end of the Hill Road and at the other end is the famous Mount Mary church where the 'Bandra Fair' is held every September. 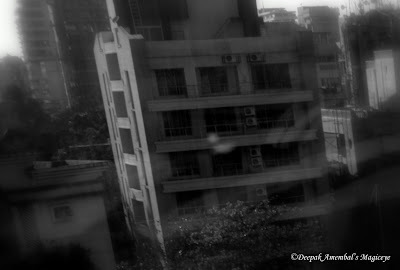 Clicked this image on Linking road, Bandra, while coming down an elevator. A butterfly in flight at the Sanjay Gandhi National Park in Mumbai. A broken boat in Sewri, Mumbai. 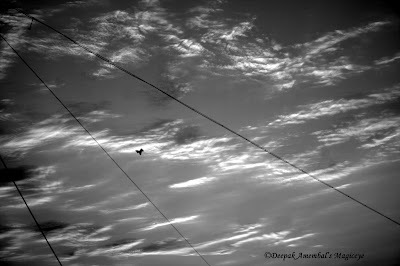 A pair of romantic birds soaring in the skies of Mumbai! 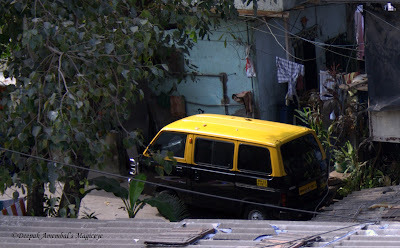 A new generation taxi parked outside the owner's home in Kalina, Mumbai. 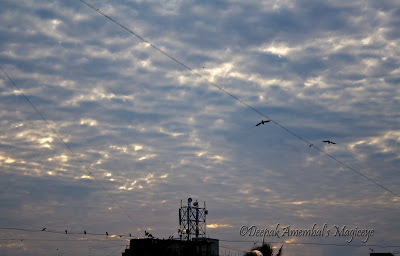 The crow on the left has relieved the one on the right for breakfast, from his duty of keeping a look out from the 'crow's nest' in Sewri, Mumbai. Captain of the ship! On one of the fishing boats in Sewri, Mumbai.